Home AVERY PARAISO KOREEN MEDINA STARSTRUCK TELEVISION StarStruck 6 Ultimate Final 14 revealed! StarStruck Season 6 on GMA 7 has just announced its Ultimate Final 14 Survivors - "ultimate" because they previously had 2 sets of Final 14 (a total of 28 contestants), and now, they have revealed who's the 14 best of them all. The past 2 weeks, 10 were eliminated already, including early favorite Kyle Vergara. And 4 more were sent home tonight, so that only 14 remain to go through various artista challenges in the coming weeks. 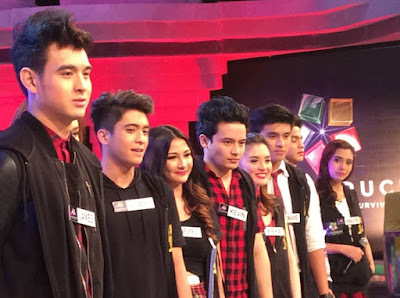 FOUR of the Ultimate Final 14 were already revealed during StarStruck's episodes the past 4 days, and they are Avery Paraiso, Ayra Mariano, Klea Pineda and Migo Adecer who advanced via "fast-track" (selected by StarStruck Council members Jennylyn Mercado, Joey De Leon, Dingdong Dantes and Regine Velasquez-Alcasid).